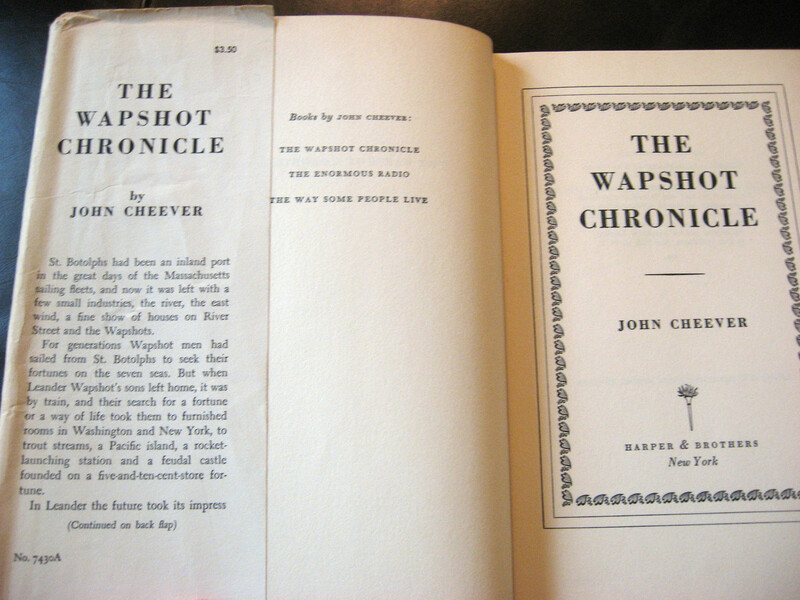 THE WAPSHOT CHRONICLE BY JOHN CHEEVER HARDBACK DUST JACKET. By Harper Brothers, 1957. 307 pages. No Edition Explicitly Stated, Implied First Edition, Not Likely First Printing. “C-G” Not a Book Club edition. 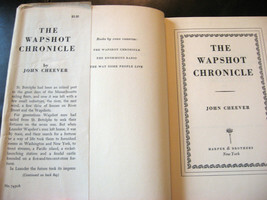 The hardcover book is in Very Good condition. The book is very clean and has been well handled. Please see the pictures provided for a general sense of the condition of the book. 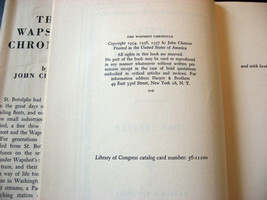 The book has no remainder mark and no internal markings. The book has no previous owner’s name inside it. 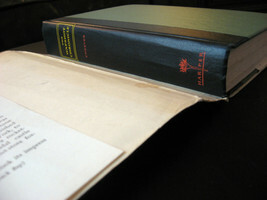 The book has no unpleasant odor – just the normal smell for an older book. The pages of the book are quite clean and bright. They are in great condition. 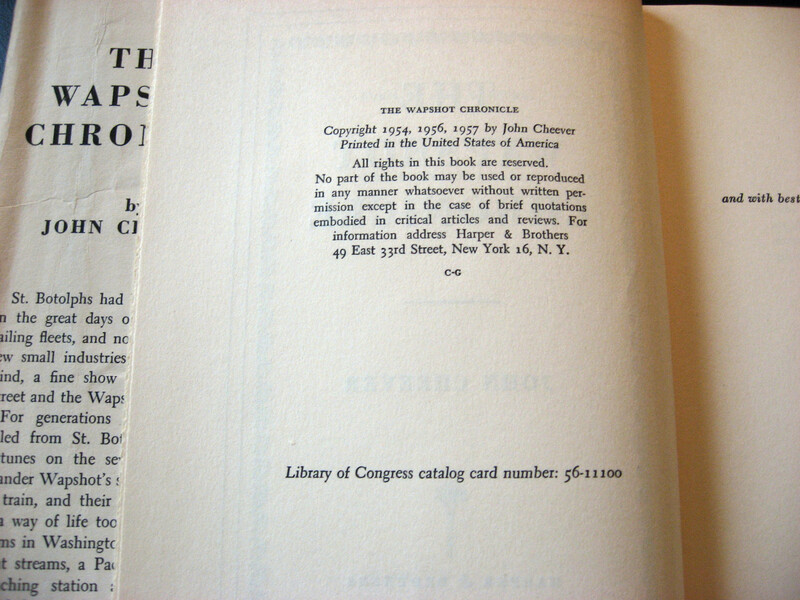 The text block (the outside edges of the pages visible when the book is closed) are in good condition. As previously stated, there is no remainder mark, and little to no soiling. No stains on the text block. 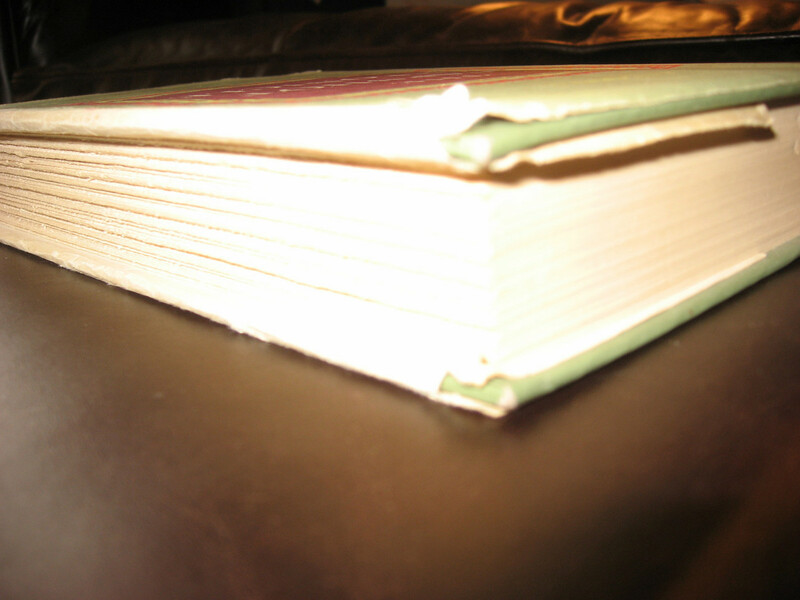 The book has deckle edge pages. The boards and the binding are in good condition. No issues. 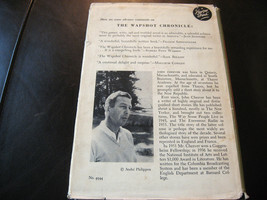 The dust jacket is in Good condition. It has no large tears or rips. The jacket does have considerable chipping around the edges and around the corners of the boards, as can be seen from the pictures provided. The jacket has not price clipped (and still shows a price of 3.50). The jacket is clean and is fully intact. 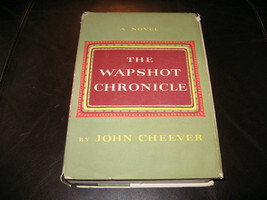 The jacket shows customary shelf wear for a book this old. The jacket has no stickers or any sticker residue. The jacket is very clean. 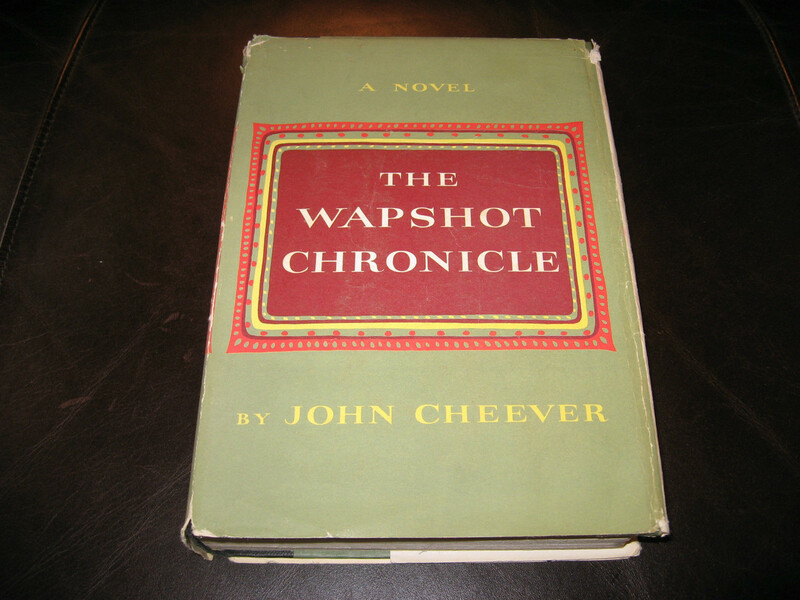 This is a solid, clean copy of Cheever’s first book.